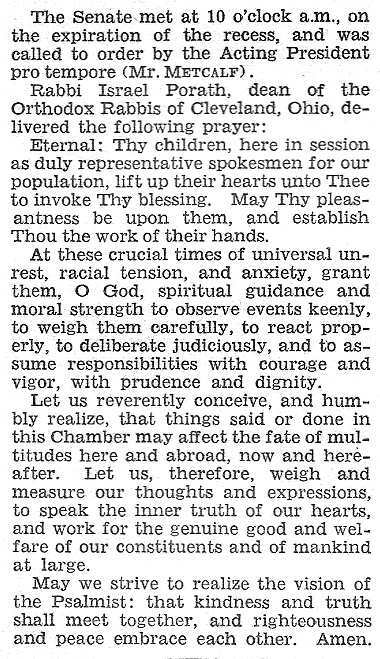 the opening prayer in the United States Senate. Rabbi Tzvi Porath, a son of Rabbi Israel Porath, made sure this happened. He was a rabbi in a synagogue in Chevy Chase Maryland, near Washington DC, that was attended by many politicians, visitors and ambassadors. 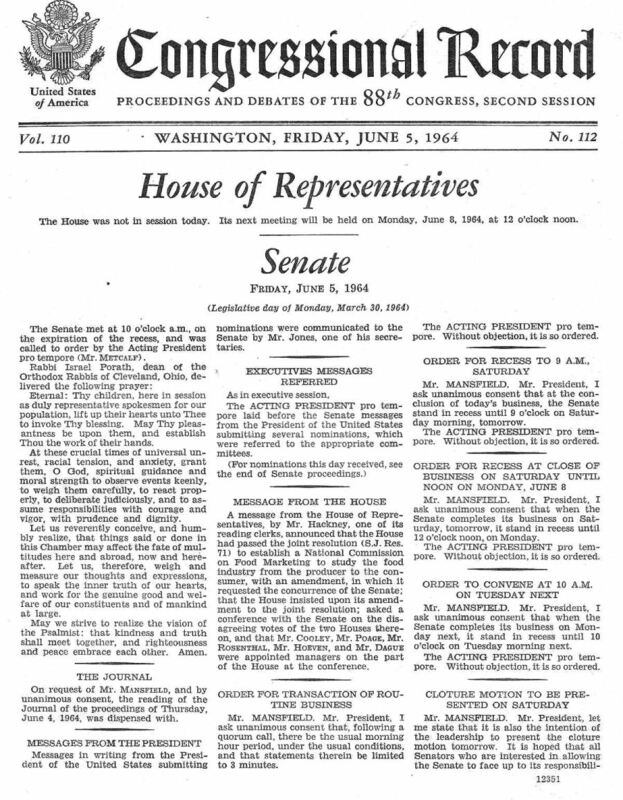 The full page of the Congressional Record is shown below.